Postcards from the Front are some of the most popular mementos of the First World War. This one was one of many sent to the grandmother of Loughborough resident Pamela Kinna, by her grandfather Arthur Baldock. 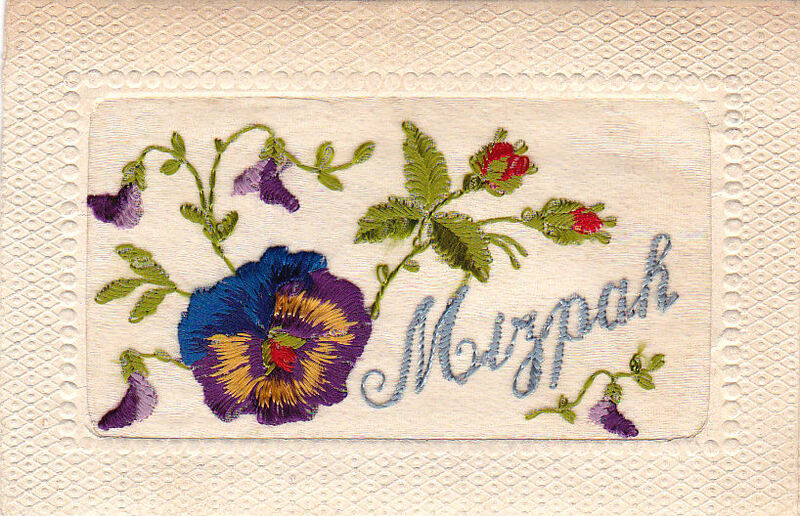 Mizpah is a Hebrew word from the Old Testament, relating to an agreement between two parties, witnessed by God. The word has come to represent an emotional bond between people separated by distance or death and often features on mourning jewellery, gravestones and memorials. 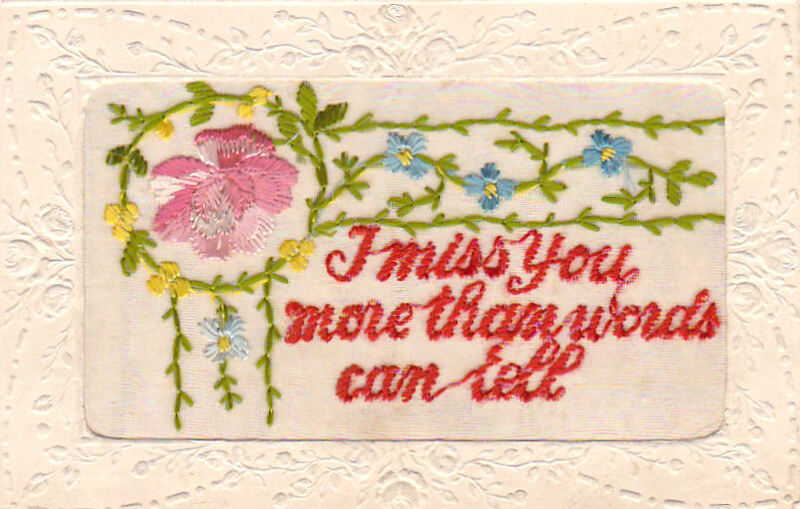 Silk embroidered postcards started out as turn-of-the-century trinkets produced for tourists, then became a means of earning money for French and Belgian women displaced by the War. 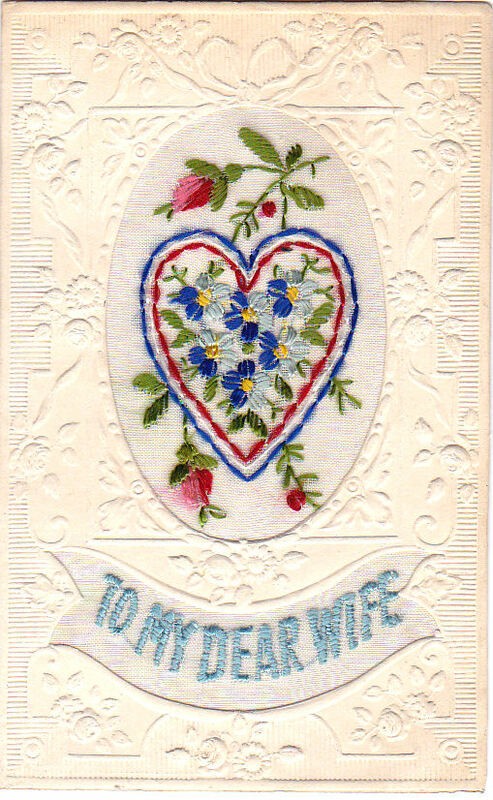 Millions of these postcards were sold to frontline soldiers, and whilst they were initially hand sewn by the women who sold them, the high demand eventually resulted in production being moved to factories in Paris. Our thanks go to Pamela Kinna, whose grandfather, Arthur Baldock, sent these cards and many others from the Western Front.